Go ahead… picture yourself at Armstrong Steel. We think you'll like it here. Our culture is built on opportunity. Over 90% of our management is home grown. We recruit graduates, give them the very best training in sales and offer a competitive, fun and motivational environment to work in. Besides our competitive base salaries and benefits, we offer an excellent commission structure and some of the best incentives in the industry for our Building Consultants. We believe in rewarding the hard work of our employees and our goal is to foster an environment that pushes individuals to achieve extraordinary results. Every new Building Consultant at Armstrong Steel has an opportunity to become a high earner but from day one we also give you the tools to achieve results, earn a fantastic commission and possibly become a future leader of Armstrong Steel. As you progress through the role, you will be offered more training depending on your career aspirations. For 'rookie' consultants, our week long recruitment 'Boot Camp' is just the start. By implementing a blended approach of both classroom training and on-the-job coaching, our program equips you with the knowledge and skills you need in the first 3 months to become a super star. Working alongside various sales team members, employees transfer the knowledge and skills acquired in the classroom to have maximum impact on performance. We are confident you won't find our training content anywhere else. If you are an experienced Building Consultant you will be offered a structured coaching program which will help you reach your potential and become a high earner. Whether you are a fresh graduate or an experienced professional looking to make a career change, Armstrong Steel would love to receive your application and discuss career opportunities with you. Armstrong is an Equal Opportunity Employer. Because no job is complete without perks ... we've got them by the ton. Are you an energetic and hard-working individual? Don't want to be overworked and under-appreciated? Armstrong Steel might just be the place for you. Armstrong Steel is, first and foremost, about working hard and expanding our customer base. That requires commitment, dedication, effort, and also the occasional late evening or early morning to make sure things are done right and done well. This doesn't mean we don't like to have a good time though. 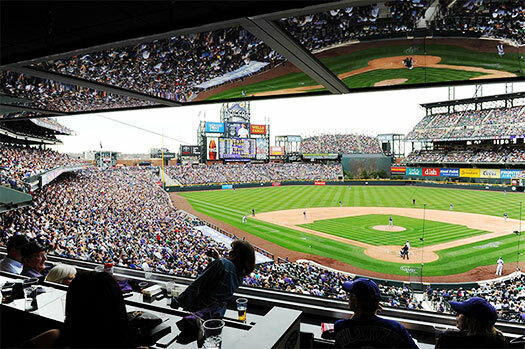 Whether it's after hours with colleagues, a company event, soaking in Denver sporting events from our company owned seating sections, or even some quality time spent in the Rockies, it's about taking some time to refresh, regroup, and recharge. Voluntary Life, Disability, Accident, Hospital Indemnity, Legal Resources and ID Theft Protection. Sound good? It should. 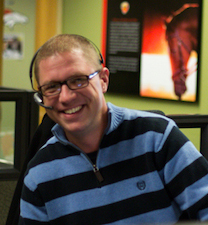 We have a great team of highly satisfied employees, and we aim to keep it that way. We continue to be a leader in the pre-engineered metal building industry. We focus on quality, drive innovation, and demonstrate integrity in everything we do. And it shows. Just ask our customers! Becoming an employee at Armstrong Steel means joining a company that stands by its customers through every phase of the construction project. We're in this together! We're still a start-up at heart! If you like working in a fast-paced, 'everyone is accountable' type of atmosphere - this is the place for you. You'll find we empower each other to speak and think freely and to find creative solutions because here, empowerment is a value we stand on. It's a part of our culture, and that enables phenomenal people to achieve exceptional goals. Working here you will be committed to demonstrating excellence in everything you do. You will be responsible and accountable for invariably delivering superior results that make a difference. 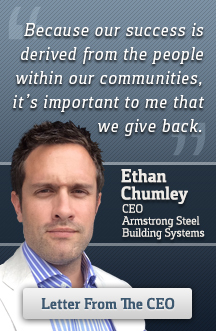 As an employee with Armstrong Steel, your impact on the projects you manage and the lives you touch is greater than you can imagine. Dedicated. Creative. Hard working. Smart. Goal driven. We recruit, attract, and hire only the best and brightest people to help solve construction challenges, convey quality, encourage sustainability, and craft competitive superiority within one of the nation's largest, most complex industries. Across the board, we're an elite team of self-motivated employees. We understand that relationships are critical to help customers, architects, contractors, and suppliers work together. We have greater expectations of ourselves and others. We value integrity by honoring commitments and never compromising on ethics. Trust is earned and preserved through integrity, honesty, and active collaboration with colleagues. At Armstrong Steel, you'll find we're not just inventive in our approach to the metal building industry; we build trust and honor the relationships we forge. Performance Pay & Health Benefits! At Armstrong Steel, success is expected, measured and rewarded with increasing responsibilities and performance based pay incentives. This reflects the shared value we place on performance. We are constantly challenging ourselves to improve in key performance areas. You will be accountable and responsible for consistently delivering superior, high quality results. Accountability and measurement helps guide employees to be better, more well rounded people. This is a results-driven environment that relies heavily on measuring results, setting goals, and reaching higher. You will be rewarded for building trust with your colleagues through project collaboration. You're paid not just for meeting an expected list of job requirements. You're rewarded for hard work, thinking beyond the norm, taking calculated risks and bringing all of us to the next level of success. If you're looking for an internship that will give you more opportunities than just running to get coffee or filing a bunch of boring paperwork, Armstrong Steel is the internship for you. Our internship program is structured to provide real-world experience and tangible skills that will help you in your future career. Come join our team and see how you can have fun while enhancing lives. Paid internships are available for spring, summer, and fall semesters. Contact Kathryn Ginsburg at [email protected] for more information about the internship program or to be considered. We're looking for talented, intelligent go-getters!